Our website (trackingshipment.net) is not affiliated with Estonia Post. Please be advised that Estonia Post - tracking service has just been added to our service, and we haven't enough time to collect a lot of information about popular questions. At the moment all results are being represented without our correction. You can ask any question about it; we will find an answer to it. We will make a FAQ in the short time. Not satisfied with national courier? Try the alternative FedEx tracking. Enter your Estonia Post Tracking number in the field you see at the top of this web page and check the location of your delivery item in the online mode. The service generates information rapidly. You will be provided with the detailed report in a matter of minutes. The Estonia Post Track system is an exceptional capability to control the delivery process. You can also check the order status, using k2track – a first-class tracking system with the extensive database. This website is a “must have” tool for those, whose business is related to shipments. 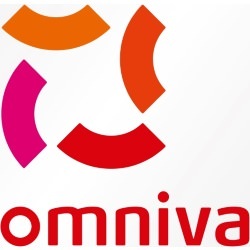 Recently, Estonia Post has acquired a new name – Omniva. This is an international logistics company based in Estonia. It specializes in product delivery within the country and on a worldwide basis. Besides, this company developed a plethora of e-solutions, simplifying the working process of various companies. The story of Estonia post started in 1918 when the newly-emerged Republic established its own national postal service. During all these years Estonia Post always tried to be closer to its clients. Due to the development of communication technologies, the company managed to improve the quality of services. Nowadays, this company is a reliable partner for sellers and for buyers. Postal services make up only a part of their business and the range of services increases day by day. Those who deliver goods via the services of this company on a regular basis, can make use of the Estonia Post track and trace system. Omniva offers you to install a special application onto your smart device. It allows you to have this service at hand. The range of services is subdivided into private and business categories. · Parcel delivery. Using the Estonia Post track system, you can monitor the delivery of cargo. · Letter delivery. Mail tracking service allows customers to control the delivery. As you see the choice of services is really good. Besides, the company’s goal is to comply with demands of the customers. So the quality of services is excellent.